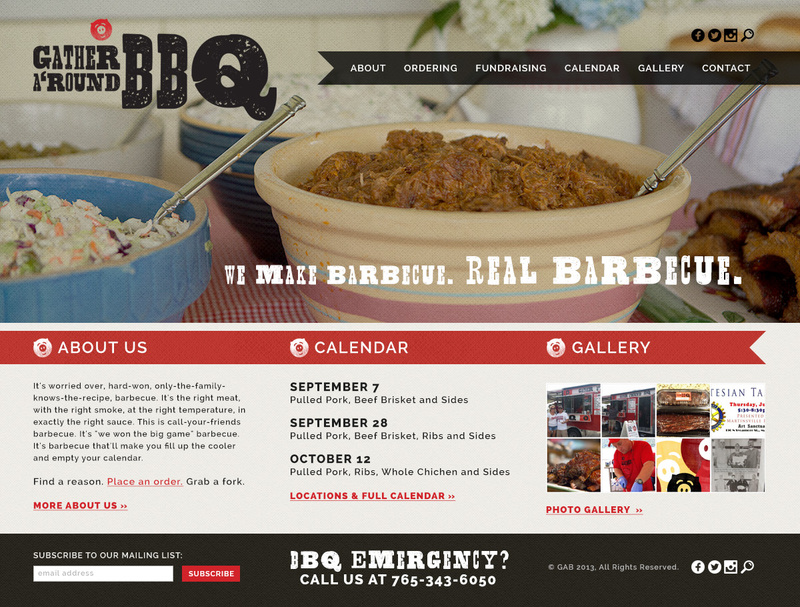 When Gather A’Round BBQ approached Jackson Sky, they not only had a solid brand (with a great logo and marketing materials), but also had professional photography that featured their product and personality. Having all those elements already established laid the groundwork for a website that is a continuation of their brand which incorporates their mouth-watering imagery. Their previous site was a small HTML site that they couldn’t updated easily. The new site is incorporated with WordPress with an easy-to-update calendar plugin and Instagram feed. It’s also responsive, so it’s optimized for screens of any size. Stay in touch with Jackson Sky by signing up for the newsletter, which is sent no more than six times a year.